This season’s final concert involves a huge orchestra with many extra players (and singers), including several instruments that few have ever heard of, such as bass oboe and flexatone! We are very grateful to both of our orchestral managers (Tony Gutteridge and Barbara Martin) for their enormous efforts to make it possible. We hope that everyone will enjoy the results! The additional costs have been partly covered by a generous local sponsor (Yumm European Fine Foods) but this concert would not have been possible at all without support from the recent legacy from the estate of Margaret and Tony Packe, for which we are also very grateful. Although the legacy has taken the pressure off the financial state of the society in the short term, the longer term is still far from assured unless we manage to attract larger audiences and other sources of funding such as corporate sponsors. We also have a more immediate need, which is for new committee members and other helpers. Some current committee members are leaving, including our Secretary (who takes minutes of meetings and circulates the agenda for the next meeting), so we urgently need new committee members, who can either be playing members or regular season ticket holders. We have a committee meeting about two and half weeks before each concert, usually on a Tuesday evening, in Havant, to plan the concert and discuss any other current issues. It would be particularly helpful to the future of the society if someone could take over the role of collecting individual donations (previously handled by the Friends’ Secretary, a position which is currently vacant), and ideally also act as a contact point for any other fund-raising activities and sponsorship. If you can help, please let us know before or at the AGM on 8th September. Our thanks go to all the players and audience members who have supported the orchestras during the current season. We hope you will spread the word and bring along new audience members to enjoy the experience of live orchestral music. In the mean time, we are looking forward to a spectacular concert on Saturday and hope to see you all there! 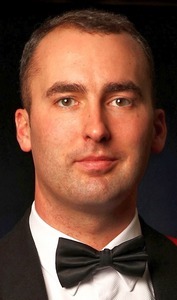 The pre-concert talk will be given by Alex Poulton. After the pre-concert talk, there will be some piano music played by Lottie Kale, who is currently studying music at Portsmouth College and is a pupil of Barbara Martin (HSO and HCO cello). Lottie will present a mixture of light and classical pieces. So – to the last concert of HSO’s 2016-17 season and a concert which includes one or two firsts for the HSO! Surprisingly, and although the orchestra has owned a set of parts for The Planets for some time, I gather, Holst’s inspired masterpiece has never been tackled by the HSO. We will put this right on the 8th July, complete with all the unusual and extra instruments Holst requires, including a bass flute, a bass oboe and a Euphonium! My association with The Planets goes back to when I was a Foundation Scholar at the Royal College of Music. There was, and probably still is, a Student’s Association Orchestra and anyone could put in ‘a bid’ to conduct one of their concerts. The only problem was you had to do all the organising yourself – and this was way before emails and texts etc, so you did it by word of mouth and/or a duplicated invitation letter that was popped in a fellow student’s pigeon hole. Folk would then return the tear-off slip. It was very good administrative experience for the future and, now I think of it, pretty straightforward. Oh technology! You also had to get hold of the actual orchestral music and be responsible for its return. The Planets has an extra problem in that there is a small section, at the very end of the last Planet movement, Neptune, which involves a ladies’ choir. So that had to be sorted out as well and, I can tell you, it’s not just a question of getting a few females voices together and rehearsing them. The logistics of their voices disappearing in to distance at the end has caused many a sleepless night for a conductor in the past. You also need an extra conductor. I had the services of Jonathan Del Mar. Let’s see if we get it right on the 8th? In retrospect it was a huge privilege to be able to conduct such a fabulous and colourful work in the Concert Hall of the RCM, not only at such a young age, but because it was in the Hall where Holst himself would have played the trombone in various ensembles and orchestras at the time he himself was a student there, probably with his great friend Vaughan Williams, who didn't play the trombone! The seven extremely contrasting movements of The Planets show Holst’s brilliant use of the orchestra and all that can be achieved if you know your stuff! It’s hard to think of the various Planets being depicted in any other way now. They just seem exactly right somehow! Strangely enough I conducted the Khachaturian Piano Concerto around about the same time, but this only came about by way of a soloist’s suggestion. Alicia Spriggs, née Chislett, had played it, while a student at the Royal Academy of Music – are you spotting the links – and wondered if I would like to programme the piece? My local church, where I had been Head Chorister (and actually where we had a party in 2016 for my late Mother's 100 Birthday and when her great-grandson played Rhapsody in Blue) had an OK piano, so I said to Alicia “you’re on” and, I’m please to say, we brought it off, with a second half consisting of the New World Symphony. I’m not sure what the ‘starter’ was? The early 20th Century saw a rising interest in gathering native melodies in a defiant outburst of nationalism which swept across Europe and beyond. In England, descriptive folk-songs were the main songs that tell the tales of history within the local community. This interest became a fascination as the likes of Percy Grainger and Clare Grundman travelled the English countryside seeking to record folk singers on their cumbersome wax cylinder phonographs. Grainger originally arranged the folk-song Brigg Fair (which he recorded Joseph Taylor singing) from a music festival in Brigg, North Lincolnshire. I am personally intrigued by English folk-song and have performed and conducted quite a few of Grainger’s creations which are special as they describe the original singers rather than the song itself. 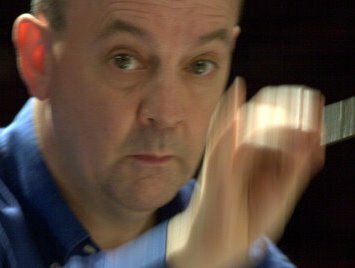 Delius’ setting of Brigg Fair is a wonderful arrangement which exemplifies the different colours and textures of a large orchestra by varying the original theme itself. Warner Classics Masters 0851872 £8.50. Chandos CSHA5167 Presto special price £10.83. Warner Classics Masters 6230772 £8.00. Auditions for our next student conductor will take place from 7.15pm to 9.45pm on Friday 14th July 2017 at our usual rehearsal venue, St Faith’s Church Hall. Non-playing members (season ticket holders) are welcome to come and listen. The AGM of the Havant and District Orchestral Society will be held at 7.15pm on Friday 8th September 2017 at St Faith’s Church Hall, The Pallant, Havant (now also known as The Pallant Centre). All members of the Society (that is, playing members and season ticket holders) are invited to attend. We need to fill several places on the committee to replace members who are leaving. Nominations for election may be sent to the Chairman in advance (with the names of candidate, proposer and seconder) or submitted at the meeting. Following the AGM, refreshments will be served then the evening will conclude with a rehearsal. Non-playing members are invited to stay and listen to the rehearsal. 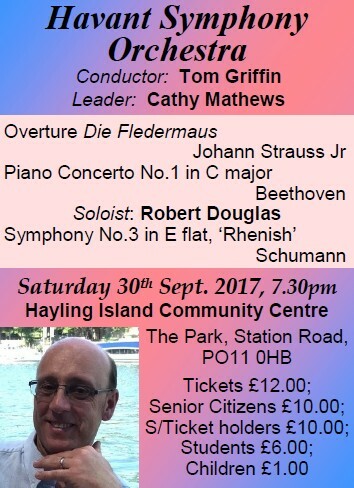 Tickets for the Hayling concert will be on sale from mid-August at the Community Centre and at Hayling Island Bookshop, Mengham. 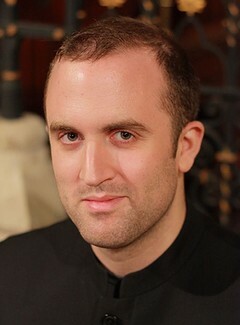 For on-line tickets see our website www.havantorchestras.org.uk or search for “Havant Orchestras”. For tickets by phone via TicketSource, phone 03336 663366 (booking fee £1.50). See the Events page on our website for details of local orchestral concerts and other musical events in the area.